Why Import Your Contact Data? To help you ensure your data is in the right format, Campus comes with an Excel spreadsheet template for you to copy your existing contacts data into. If you use this Excel file to tidy up your data before you attempt an import everything should run super-smoothly for you. Important! 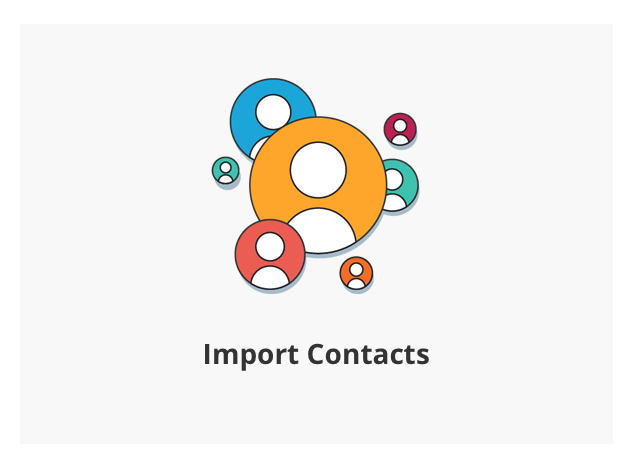 It's really important that if you want to import contacts that you've imported your organisations first. Many of our users migrate over from different CRM systems to Campus and so already have some data that they want to put in without having to enter every one of their contacts manually. This is where the contact import feature comes in. Before we start, now might be a good opportunity for you to refresh in your mind exactly what a contact is. Contacts are the people that work at your organisations and who have specifically agreed to receive your marketing and/or you have a business relationship with (you have quoted for them, or invoiced them, in the past). It's super-important that your contact data is nice and tidy and formatted correctly before you attempt to import it. Poorly formatted raw data will remain poorly formatted after it has been imported and will cause you a world of pain going forward… so, it's really important that you follow the help guide below to the letter. This is the name of the organisation the contact works at. Be sure to match the organisation name that you used when uploading your organisations so that Campus can link the contact to the right organisation. Simply the contact's type – are they a business person or a teacher/educator? If they are a business person they'll work at a business so include " Business" in the column and if they are a teacher/educator they'll work at an educational institution so include "Teacher" in this column. Mr, Mrs, Miss, Ms, Doctor, Reverend, Captain, Professor, Father, Dame, Canon, Colonel, Sir, Lord, Madam, Madame, Major, Monsieur, Rabbi. Data example: "Mr" / "Mrs". Simply the contact's first name. Data example: "Homer" / "Lois". Simply the contact's last name. Data example: "Simpson″ / "Griffin". This is the contact's job role. Campus holds several business person Job Roles as default but feel free to include any other Job Roles that Campus doesn't hold as standard. Data example: "Director" / "Sales Rep" / "Principal". Ensure this is the contact's telephone number NOT the organisation's. You can leave this blank if you like. The Contact's email address. This is the address you'll send your email marketing to. 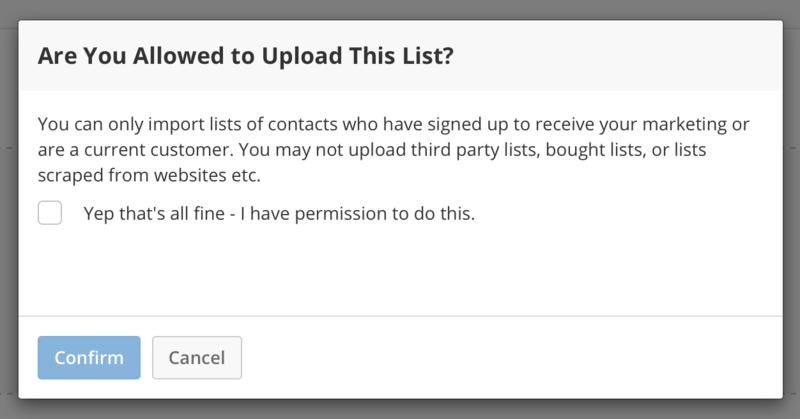 You may wish to import some contacts who have already unsubscribed from your marketing. If so, simply include the word " Unsubscribed" in this column. Otherwise leave it blank. The full name of the User that is considered the owner of this Contact. You can then add any contact Custom Fields as long as you have added your list of them to Campus in your Settings module. So, you've formatted your contact data correctly, and also included any Contact Custom Fields at the end of your import CSV file. Before you go ahead and upload this Contact data it's super-important that you set up your custom fields in Campus. This will mean that your custom fields will get uploaded too. All you need to do is add your custom fields over in the CRM Settings page. It's now time to actually import your contact data into Campus. Once there click on the Import Contacts link. It's important that you comply with this statement – by ticking the box and confirming, you are confirming that the list of contacts you are about to import was gathered in accordance with US data protection principles. If you do not agree you will be unable to upload your contacts. 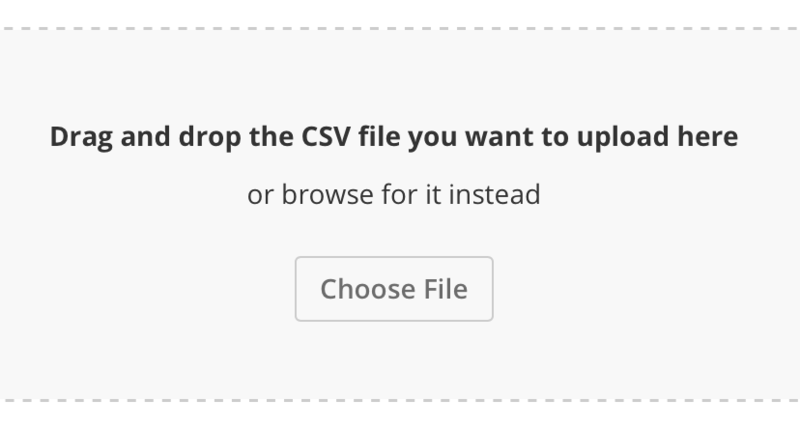 Select your CSV by clicking on the Choose File button. Then locate your Contacts Import CSV file on your computer. Now you need to match your fields with the fields available in Campus. If you have used the template to format your data then Campus will link up these fields for you. If you haven't you need to match them up manually. Don't forget to also match up any custom fields you want to import. If you're finding there is no option to match your custom fields with then go back and review Getting Your Custom Fields Sorted above. Campus creates an individual record and page for each of your contacts. Campus links each of your contacts to their organisation. Campus notes whether each Contact is an educator or a business person. Campus de-dupes your contacts data – it will not import the same contact twice leaving you with a nice clean list. Now just sit tight and watch your contacts import.